I think these will be perfect for my 5-year-old to create and give away. Find the free printable template at ZakkaLife. More printable valentines here and here. That is cute!!! I love it! Maybe I'll go print off valentines rather than buying the boxed ones this year! 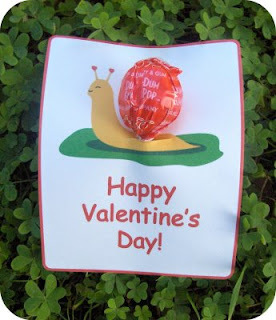 I love the snail idea.